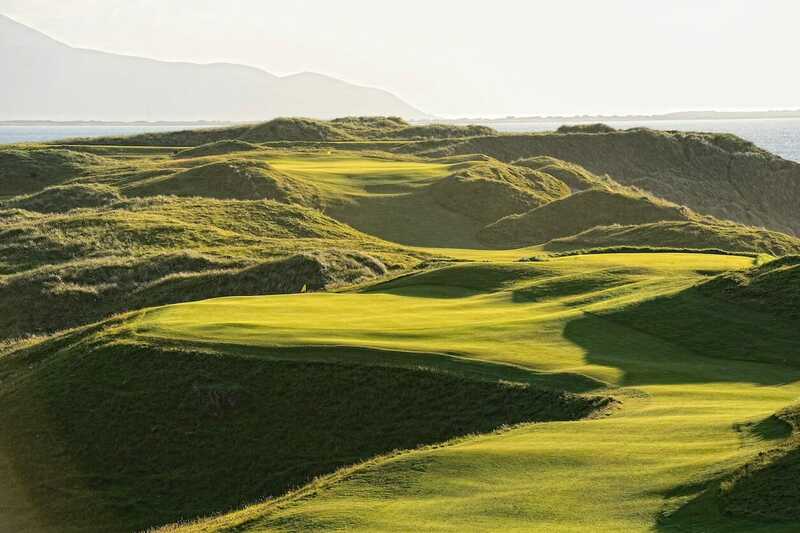 Over 100 student golfers traveled to Tralee for this year’s Irish Student Amateur which got underway yesterday. Last year, Stefan Greenberg (Ulster University) triumphed over Ronan Mullarney (Maynooth University) by one shot in the men’s event, while IGM’s Mary Doyle captured the women’s title with a 5-shot cushion from her nearest competitor. That said, Mary’s defence didn’t get off to such a great start after shooting an 86 yesterday (sorry Mary)! Maynooth’s Clodagh Walsh and Ulster University’s Shannon Burke lead the way after a pair of super level-par 72s. In the Men’s event, Stirling’s Stewart McCaw leads by one after a fine two-under par opening effort. Ulster’s James McVicker sits in second place alongside Cork IT’s John Hickey on –1 while seven players tie for 4th on level par. Since it is a student event, the rescheduled date from August to April may have proved problematic for some due to the final weeks of class, along with exams and essay deadlines approaching and there are only 7 female competitors in the field. However, spirits are high amongst those who have chosen to balance golf with their studies and another great day’s play awaits everyone involved today.